We learn while going through the first 3-degrees, the Craft degrees, you learn that Masonry is a progressive science taught by degrees only. Craft Masonry sets a foundation and the sets the basis by which we look at the chronology of the legends that surround the degrees. 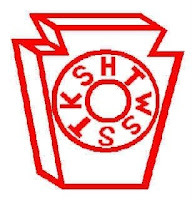 However when you advance through the degrees and orders of the American York Rite you notice that the order the ceremonies are presented is not chronological; meaning, you jump back and forth in time to times before and after the Master Mason degree held in the Blue Lodge. In taking our degrees there is one thing you must remember, namely, the order in which events happen is seldom the order in which we learn about them. The successive degrees in Masonry picture events in the order we learn about them, not the chronological order in which they occurred. 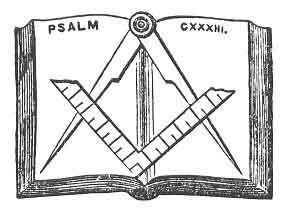 For instance, the Mark Master's Degree took place before those of the Master Mason's, but they were not presented to you in that order. The degree you are about to receive pictures events that happened prior to and after the Tragedy of the Third Degree, and we would have you notice how well they fill in the gaps in our knowledge of that Tragedy and its meaning. In the degree of Entered Apprentice Mason, the candidate is introduced into the values, principles, tenets, and legend of Freemasonry. We learn that they held their meetings on the ground floor of King Solomon's Temple and were the bearer's of burden moving the crucial materials needed to erect this famous edifice. The lessons of this degree are Truth, love, charity, moderation, courage, prudence, and justice. As a Fellow Craft Mason, one is taught that meetings are held in the Middle Chamber of King Solomon's Temple, and the journey accompanying your way there, and on the wages of a Mason. The lessons of this degree are the need for acquiring knowledge and education, charity, and obedience to the established rules of our Ancient Craft. In the Master Mason degree, we are instructed in a great tragedy, the death of our Operative Grand Master, Hiram Abiff, prior to the completion of the Temple. The candidate is taught lessons of fidelity and the struggle against the enemies of Freemasonry: tyranny, ignorance, and fanaticism. By the end of the degree the candidate learns the substitute for the Word that was Lost with the death of Hiram. The most pronounced lesson of this degree is unwavering fidelity in the face of adversary. Since the dawn of civilization it has been man’s desire to make his mark upon the world, to leave something lasting and permanent, for a part of him to survive long after he is gone. In the Mark Master degree, the candidate is taken back and represents a Fellow Craft during the construction of the Temple whose work is not appreciated at first, but later become the "chief stone" required to complete the Temple as seen in the Most Excellent Master degree. The candidate is instructed on many valuable lessons such charity and honesty. The candidate is also taught to distinguish his work with a "mark" (an extremely old practice) and how to properly receive his wages which was previously discussed in the Fellow Craft degree. This degree is considered to be the bridge between Operative and Speculative Masonry. I didn't place the Past Master (V) upon the timeline because in the American ritual it doesn't deal with any particular time, although I could have placed it after the Master Mason degree. Some have speculated that this degree deals with King Solomon's inspection of the Temple just after its completion and just prior to its dedication. This degree is conferred because it was custom for only Past Masters to be exalted to the degree of Royal Arch Mason. This degree does not confer the title of Past Master upon a candidate, but only upholds ancient custom. This degree teaches lessons important to being Worshipful Master particularly those of justice and harmony. The ceremony of the Most Excellent Master degree is a spectacular and unique degree as it is the only degree which brings to the candidate's attention the completion and the ceremonial dedication of the Temple. This degree emphasizes the importance of reverence. This degree compliments the degrees of Fellow Craft, Mark Master, and Master Mason, and completes the symbolic lessons introduced in each of those degrees in reference to the allegorical reference to building yourself as our operative ancestors built King Solomon's Temple. Going through the Royal Arch Mason degree you follow the tale of the Jews return from Babylonian captivity to Jerusalem and are ascending the summit of the original degrees of Craft Masonry (as prescribed by the Antient Lodges). As a candidate, led by a guide, you return to Jerusalem to find it in ruins, but you are informed that the Jews have been permitted to rebuild the city and the Temple. The candidate is charged with removing the rubbish of the ruined Temple in order to lay the foundation for the new one. A Secret Vault is discovered which leads to discovering many artifacts that leads to the eventual discovery of the True Master Masons Word as promised in the Master Mason degree. This degree teaches lessons of service, undaunted fortitude, fervency, zeal, and the triumph of Truth over all forms of ignorance and tyranny. The degree of Royal Master is split into 2 sections which cover two different time periods. The first section gives a dramatic understanding of the mindset of our Ancient and Operative Grand Master Hiram Abiff. 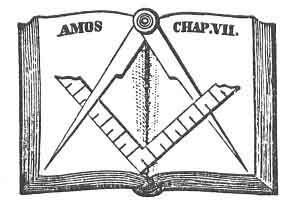 As a candidate for this degree you represent Adoniram, a Fellow Craft, who having just finished creating a piece of the furniture that would be placed in the Sanctum Sanctorum, seeks further light and implores Hiram, asking him when he will become a Master Mason. Hiram in turns imparts to the candidate the sublime teachings of useful labor on Earth and a worthy end of life, noting that he may never receive the Secrets of a Master Mason. In my opinion this is one of the most beautiful and impressive monologues within Freemasonry. The second section comes to us just after the Tragedy of the Third Degree and demonstrates the great loss felt by the other two Grand Master of Ancient Craft Masonry. To honor the memory of Hiram Abif, this degree was instituted, and through the efforts of the candidate he is admitted among those who may call themselves a Royal Master.This degree teaches lessons of patience, fortitude, and integrity. This degree compliments a portion of the Royal Arch degree. The degree of Select Master takes reference from the Secret Vault discovered in the Royal Arch degree and concerns itself with how it was created. The Secret Vault was created by the three Grand Masters and connects the events and myths surrounding the loss and hope of the future discovery of the Master's Word through the deposition of the Grand Master's secrets. The lessons of this degree are devotion, zeal, and overlooking the failings of those who through ignorance or curiosity may often overstep the bounds of propriety. This degree compliments the Royal Arch and Royal Master degrees. Leaving somewhat the legend of Ancient Craft Masonry, but also making reference to Royal Arch Masonry, the Super Excellent Master degree refers to circumstances that occurred during the siege of Jerusalem by Nebuchadnezzar, commander of the Babylonian Army. This degree is noteworthy for its scenes of the Jewish court of Zedekiah and the Chaldean court of Nebuchadnezzar. It represents the final destruction of King Solomon's Temple and the carrying away of the Jews to Babylonian captivity. This degree emphasizes the values of loyalty and faithfulness, and It teaches that while men may continue to build, the only permanent temple is that spiritual temple which each erects within himself. This degree is an honorary one, and a member of the Council not needing to have it in order to hold membership or office. The degree requires the largest cast of characters of any of the degrees, and ends with a climax never to he forgotten. A candidate of the Illustrious Order of the Red Cross represents Zerrubabel and presents himself as a Royal Arch Mason to a Grand Council that just convened in Jerusalem to deliberate upon the unhappy condition of the country and which desires to find a means to secure the favor of King Darius in order to proceed with the rebuilding dealt with in the Royal Arch degree. The candidate is guided to the Persian court and reminds the King of his promises to aid the Jews in their work. Debate ensues and Zerrubabel boldly proclaims that Truth is on his side of the issue. So impressed with the speech, King Darius decrees his support for the continuation of the rebuilding, establishes the Illustrious Order of the Red Cross founded up on Truth, and confers it upon Zerrubabel. This order is a transitional degree that bridges Royal Arch Masonry to Chivalric Masonry. The lessons taught encourage the constant search for Truth, and emphasize the importance of Liberty and Justice with a right to worship Deity under whatever name he may be called. Historically, elements of this Order were practiced in Ancient Lodges before the final form of the Master Mason Degree came into use. It is still practiced in the full ceremonial form by the Knight Masons of Ireland and the Knight Masons of the United States, and as the Red Cross of Babylon in the English Order of the Allied Masonic Degrees. The first Christian order in Masonry is the Order of Malta which is dedicated to Saint John the Baptist. After passing through the preparatory degree of the Mediterranean Pass (which surrounds the story of Paul on the island of Malta from which this Order receives its name), the candidate solicits himself to become a member of the Order of Malta. This ceremony teaches the history of the Maltese Order as inheritors of the crusading Knights Hospitaller. The preparatory degree emphasizes the need of faith while the lessons of the Order express examples of love, mercy, and the unfearing and faithful martyrdom of Christianity. Like the Order of Malta, it is founded upon the principles enunciated in the New Testament teaching that Love is the great characteristic of those who would aspire to immortality. Love which suffers long and is kind, Love which overcomes all hate and all difficulties and which will eventually, in a time we hope not too far distant, make of all mankind - Brothers. The Order of the Temple is one of the most impressive ceremonies in all of Masonry and is the true capstone of the American York Rite. The candidate represents one seeking admittance as a Knights Templar during the Crusades. As a trial of his worthiness there is enjoined upon him 7-years of preparation beginning with a time of unarmed pilgrimage and then warfare. After serving a majority of his time, he seeks admission, but he is commanded to devote the remaining year to penance as a trial of faith and humility. Many beautiful lessons are given during this ceremony such reminding of us of the mortality of this body, the glorious immortality for those faithful followers, reverence, self-sacrifice, and reminders to Him who suffered upon the Cross are inculcated. Once proven worthy the candidate is admitted a Sir Knight of the Valiant and Magnanimous Order of the Temple. It is curious to note that compared to the British Templars there is a slight militant zeal instead of being more allegorical, although the American ritual is more impressive with the emphasis being placed upon the solemnity and reverence associated with the Passions of Christ. Excellent post! Thank you for you efforts! A very valuable survey Brother. Thanks! REMEMBER BROTHER THAT THE BIBLE IS IN PLAY IN BLUE LODGE AND YORK,AND SCOTTISH RITE. Brother Anthony, I never said that the Bible wasn't in play.